A fabulous, easy to make scarf using York Tweed. This scarf is large enough to be a mini wrap. 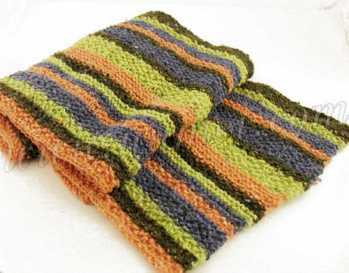 Mix and match your own colors to make your own striped scarf. Suitable for men and ladies. *Note: This pattern uses yarn that has been discontinued. May be substituted with yarn of similar gauge.